Piggy Bank Will Be So Happy!!! Yes, you read that right. I am officially debt free! It probably has been over 10 years since I have been able to say that statement, but I can finally say it once more. In fact, I’m going to say it again… I AM DEBT FREE!!! It feels really good to be debt free. Now I know that any extra money that I have will go towards my savings and maybe, just maybe, I might be able to reach early retirement… early-ish. The beautiful thing about all of this is that I did in less time than I have initially predicted. 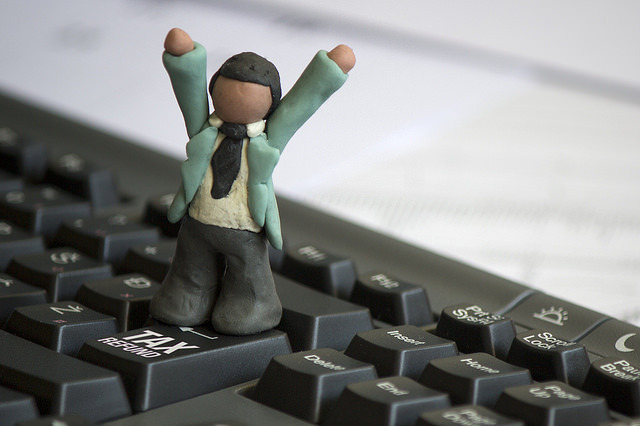 Tax season is here and to many of us that means one thing… Tax Refund! I know there’s a debate whether we should be getting a refund or changing our withholdings to get more on our paychecks, but that’s a discussion for a different time. Let’s not rain on anyone’s parade and let us enjoy our refund for now. We all enjoy getting a tax refund. It feels like we just won a scratch-off. One of the reasons we love tax refunds so much is because we like to spend money and this is extra money that we can spend freely… or so I thought. I used to buy all kinds of stuff with my tax refund – I bought my motorcycle with my tax refund – and it felt good for a few weeks. That good feeling slowly faded when all that money was gone and I still had debt and almost nothing saved. If this sounds familiar, here are a few suggestions on what you can do with your tax refund that makes you feel good for a long time. 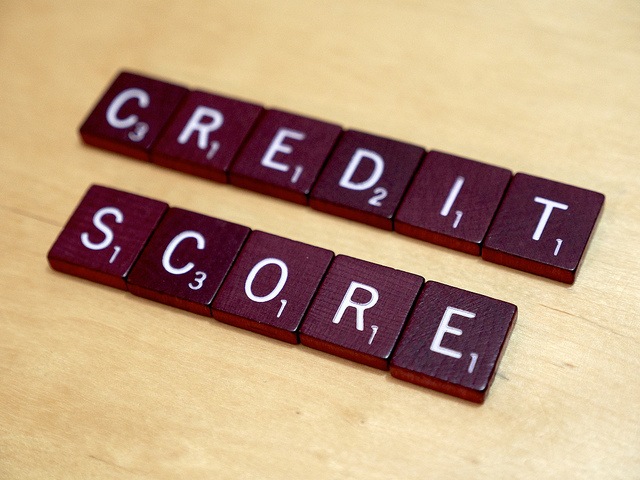 Credit scores measure your credit worthiness, meaning how reliable you are as a borrower. Credit scores are simply a measure of how good your are at managing debt. This is an unfortunate system because in essence you have to get into debt to have a good credit score, but this is the reality we live in and we have to deal with the cards that we have been dealt. Having a good credit score is essential in order to be able to get a home loan or a car loan, and also to be able to get the lowest possible interest rates. If you have a low credit score, here are some ways you can improve your credit score. Ahh Christmas is almost here. Christmas season is the best time of the year for many, but it could also be one of the most stressful times for people who are in debt and can’t afford to buy gifts. There is just so much pressure put on us to buy everybody and their mother a little something something for Christmas. If you don’t, then you are just like Ebenezer Scrooge. The pressure comes from everywhere. There are countless Christmas commercials telling you what you should buy, there’s Christmas music everywhere (doesn’t tell you to buy stuff, but it reminds you two months in advance that it is Christmas season and that you should start getting ready), and there are also those who keep asking, “What are you getting [INSERT NAME] for Christmas?” It is not even November yet! Don’t get me wrong. I love Christmas. 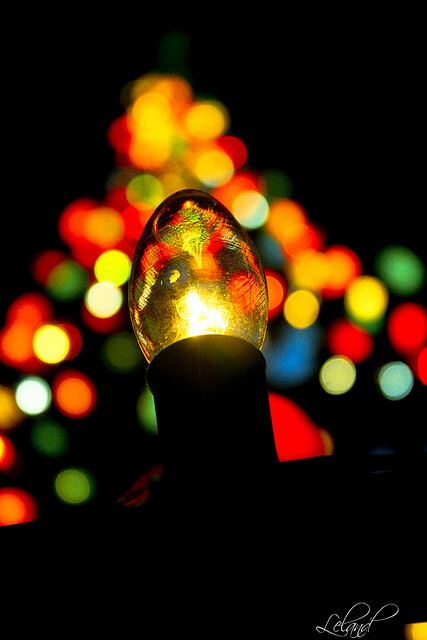 It is a time to get together with your family and loved ones. Everybody seems to be happy – maybe tired of the Christmas songs, but happy – some of us gets a little break from work, and we get gifts. Yes, I like gifts too. The problem I have is when people get into debt just to buy somebody else a gift. Getting into debt is very easy. Just start buying stuff with your credit card and don’t pay it off each month. But getting out of debt is very difficult. The average American family with at least one credit card has around $16,000 in credit card debt (2012 data). Many of these families are trying to erase that debt but are having a hard time accomplishing that. There might be many different reasons why this is so, but one of those reasons might be that they’re not approaching it the right way. 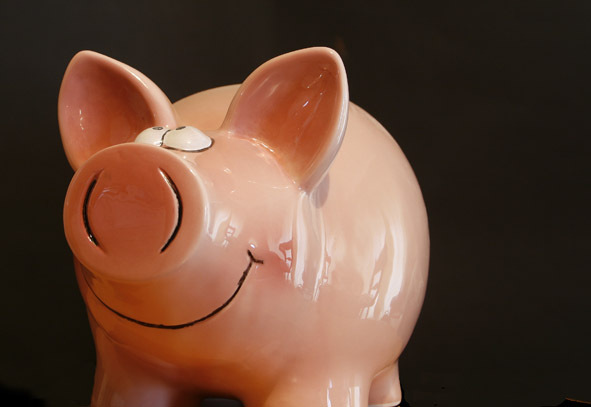 The number one rule of wealth management is “Know where your money is going.” Don’t look it up, it’s an unwritten rule. Everybody knows how much money is coming in every month. They just have to look at their paychecks. But not everybody knows where all of that money is going. Sure, they know about the big bills: rent/mortgage, student loan, car payment, utilities, phone, etc., but many don’t remember at the end of the month what they spent at the beginning of the month. 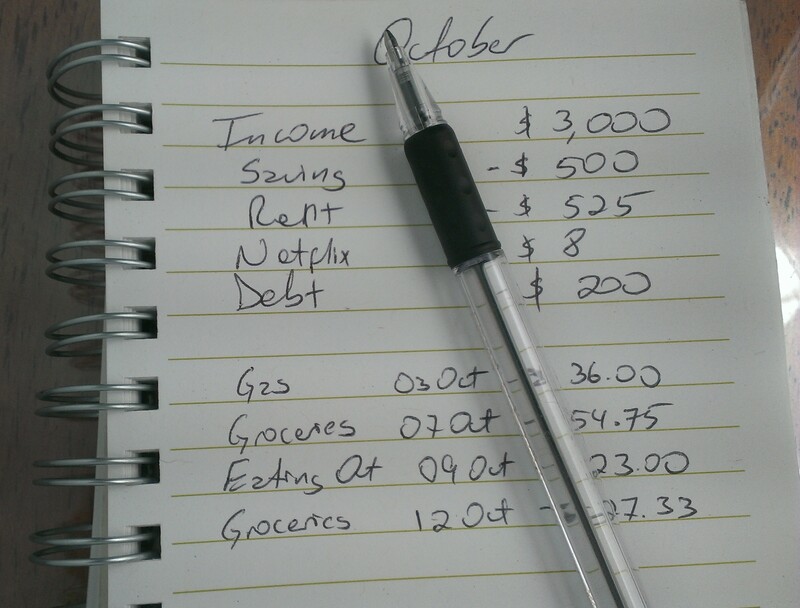 I was really fed up with that routine so I decided to write down every single expense I made… I mean EVERYTHING. After a month I looked back at my spending and was able to figure out where my money was really going. 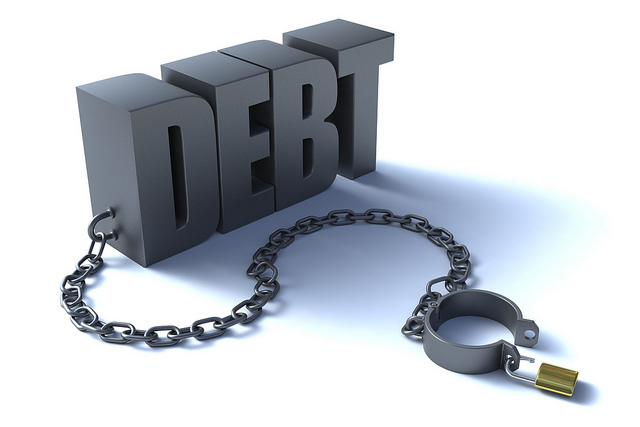 All debt is bad… or is it? Debt is such an integral part of our daily lives that most people think it is the only way to live. I can’t even count the amount of times I’ve heard people say, “I will always have debt.” This makes me sad because it doesn’t have to be so. Debt is not necessary. That being said, I’m not opposed to certain type of debt. I would even go as far as saying that some debt is actually good debt. Okay I take that back, no debt is good debt, but you could argue that some types of debt are not “as bad” as others. 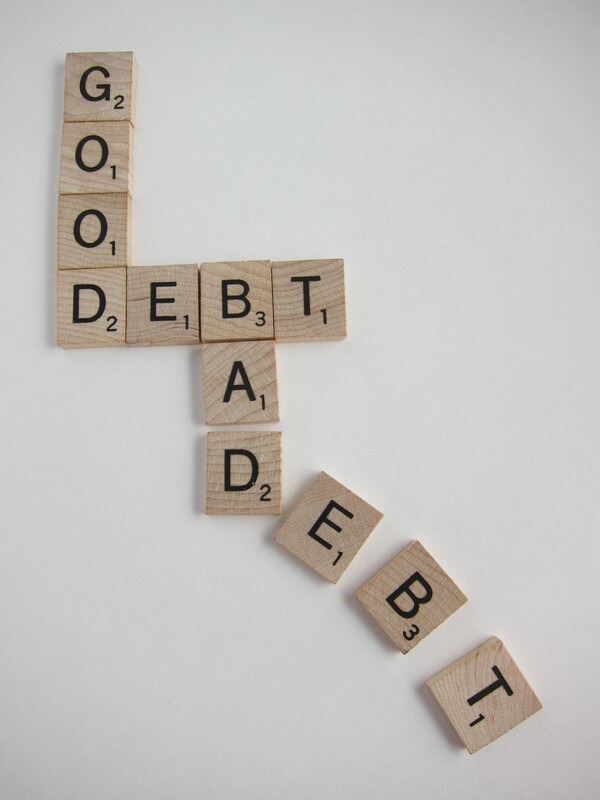 Good Debt – a.k.a. A little better debt. Home Loan – Okay, I personally don’t think that buying a house is a must, but I also don’t think that getting a loan to buy one is a bad idea either… as long as you can afford it. The value of a house usually increases over time so a house is more of an investment than an expense. You have to understand though, that the value of a house doesn’t always increase and there’s definitely the potential of losing money, so I wouldn’t advice you to purchase a house unless you are ready. Meaning, you have a 20% down payment and an emergency fund of 6 months to 1 year worth of expenses in case something goes wrong. A couple of weeks ago, we read about how one-third of Americans have had debt in collections negatively affecting their credit score. Well, there’s some good news. FICO, formerly known as Fair Issac Corp., just announced changes on how they calculate consumers’ credit scores. 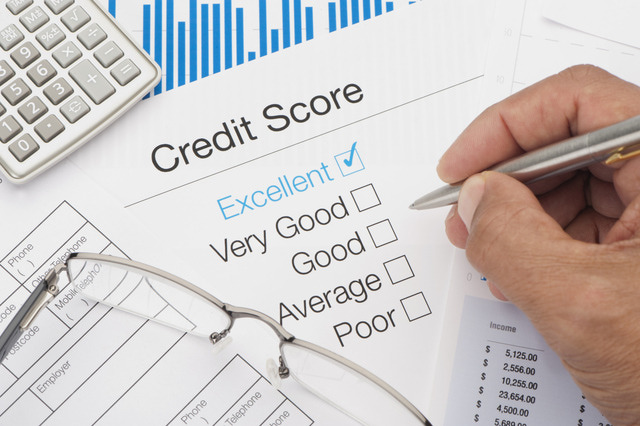 On Thursday, FICO announced its new credit scoring model, FICO Score 9. The new model will bypass collection agency accounts that have been paid and it will make a clear distinction on the impact of medical and non-medical collection agency accounts. One out of every three American adults have had at least one account put “in collections” in 2013. This is according to a recent study done by the Urban Institute. The study analyzed data from more than 7 million consumers and found that 35% of American adults with a credit history had debt in collections in 2013. The data was collected by TransUnion, one of the three major credit bureaus. Debt in collections were nonmortgage debt, which includes credit card debt, medical bills, gym memberships, utility bills, etc. The average amount of debt in collections for the U.S. was $5,178 per person. The District of Columbia had the lowest average dollar amount owed per person at $3,547. The study also showed that the entire country has a problem with debt.